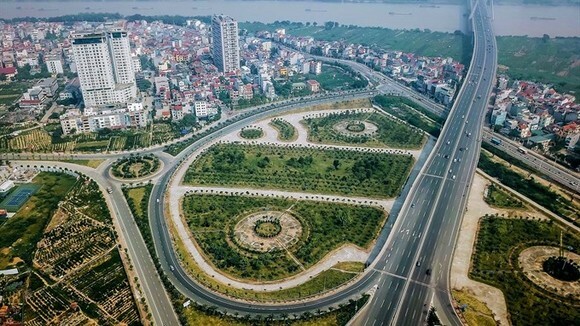 At the current growth rate, Vietnam’s GDP in 2045 is set to reach US$2.5 trillion with per capita income of US$18,000, Prime Minister Nguyen Xuan Phuc said during a speech yesterday in front of the National Assembly. However, achieving this scenario would be “a tremendous challenge” and required current and future generations to be ambitious and never stop aiming towards prosperity, PM Phuc said. With average yearly growth surpassing 6 percent and the economy’s scale expanding 17.4 times in the last three decades, the country has made significant strides in poverty reduction, joining the ranks of middle-income countries. 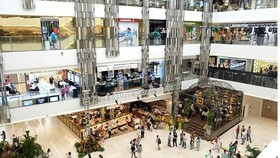 “In the beginning of the 90s, the per capita income of Singapore was 125 times higher than Vietnam, now it is 24 times. Thailand used to be 16 times higher than Vietnam, now the figure is 2.5 times. Compared to Japan, the figure came down from 267 times to 16 times, or the US, the figure decreased from 252 times to the current 25 times,” PM Phuc said. 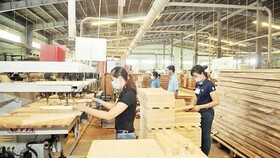 The Government leader however admitted Vietnam is at a difficult juncture as it faces the middle-income trap. 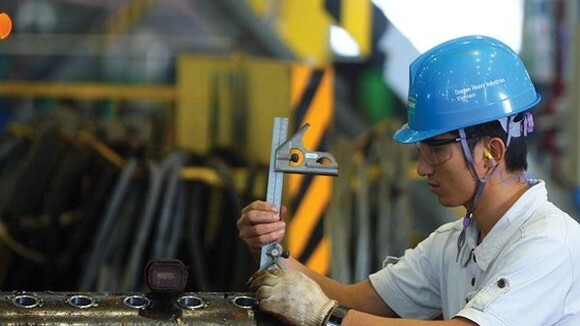 With the downward trend in growth rate of the labour force (falling from 2.7 percent a year in the 2001-10 period to below 1 percent in 2011-30) and rising wages, labour productivity is now key to stable growth. “The improvement in labour productivity must be based on innovation and the application of science and technology. Reforms and innovation is an inherent and pressing demand of the economy,” PM Phuc concluded, warning that the path forward would be more challenging. He said the overarching goal is to put people at the heart of the development process and pursue sustainable growth in socio-economic and environmental development, ensuring all members of society can contribute and benefit proportionately from this development and that no one is left behind. 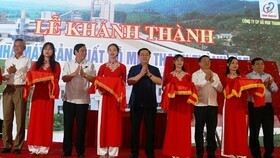 PM Phuc also noted the priorities the Government aims to focus on, including ensuring a stable macroeconomy, reining in inflation, economic restructuring, reviewing policies to boost the private economy, streamlining the public sector workforce, investing in education and health and improving efficiency in foreign affairs and international integration. The Government leader was the last cabinet member to answer queries from NA deputies during the three-day hearing session (October 30-November 1), part of the ongoing 6th meeting of the 14th parliament. Aside from the speech, he also spent some time answering questions from NA deputies. To ensure more consistent performance from all sectors of the Government, PM Phuc said more robust supervision from leadership is needed. “Even with the same policies and mechanism, some localities and agencies succeed while others face delays and make mistakes, the difference comes from the top leadership,” the Government leader affirmed. Responding to Buddhist politician Thich Thanh Quyet, PM Phuc reaffirmed Vietnam is a country with freedom of religion and belief. “There are 15 religions with 42 religious organisations and 25.3 million believers in the country, accounting for 29 per cent of the population. Thousands of churches and pagodas are present across Vietnam. All religions are equal before the law and are given equal opportunities for growth,” PM Phuc said. According to PM Phuc, the law on religion and belief is one of the most important legal instruments that seeks to concretise human rights, which include freedom of religion. 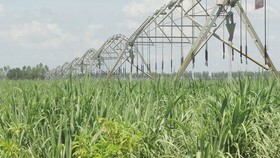 PM Phuc also reiterated the Government’s plan regarding climate adaptation for the vulnerable Mekong Delta region, with the first task switching to crop varieties and animal breeds resistant to climate change. 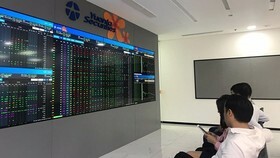 Initial results have been positive as yields increased on a year-on-year basis, he said. 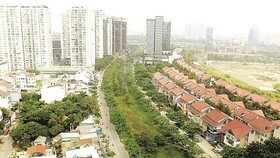 The Government has also allocated VND12 trillion ($515.8 million) plus an additional VND 2.5 trillion for related projects and commenced 20 green growth projects with total investment of VND7 trillion, he said, commending localities in the Mekong Delta that have mobilised funding from non-public sectors. Responding to queries on nuclear safety preparedness against potential disasters caused by nuclear power plants that recently went into operation in China’s southern provinces near the northern border of Vietnam, Minister of Science and Technology Chu Ngoc Anh said the ministry has perceived the risks and consulted the Government on approving a nuclear monitoring network and incident response plans. Minister Anh said the delayed implementation of the observation network was due to a lack of time and budget. “However, the exigent nature of the plan requires [us] to mobilise all resources available, including from research institutes,” science minister said. Five nuclear monitoring sites have been established in five northern localities – Lang Son, Hai Phong, Quang Ninh, Lao Cai and Hanoi, with all of them directly connected to the science and technology ministry. 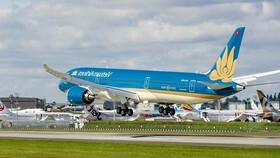 Minister Anh urged NA and Government to prioritise funding for the network. He also told the NA that in last year’s trip to China by General Secretary and President Nguyen Phu Trong, the two sides signed agreements on sharing nuclear data. Minister of Education and Training Phung Xuan Nha, who received the lowest votes of confidence by NA last week, continued to field questions on hot-button issues. Minister Nha admitted to wastefulness caused by current textbook designs, which encourage students to write their answers directly into the books, limiting reuse. “This technical design is derived from international experience, however, in the context of the country’s current development level, this approach is ill-suited and causing wastefulness,” Nha said. The ministry has issued instructions for teachers and students but the effectiveness has been unsatisfactory, he said, adding the design of textbooks would be reconsidered. In response to a question on whether Vietnam has an education philosophy, Deputy Prime Minister Vu Duc Dam affirmed the country has adopted UNESCO’s five pillars of learning: learning to know, to do, to be, to live together and to transform oneself and society. However, Nguyen Van Hien from Lam Dong Province said that while the philosophy has been manifested in education goals and principles, it needs to be abbreviated into a concise and easy-to-understand motto. Lawmakers also raised questions about various other hot-button issues. According to NA Chairwoman Nguyen Thi Kim Ngan who presided over the hearing, 135 deputies raised questions for 19 Government ministers and various leaders.